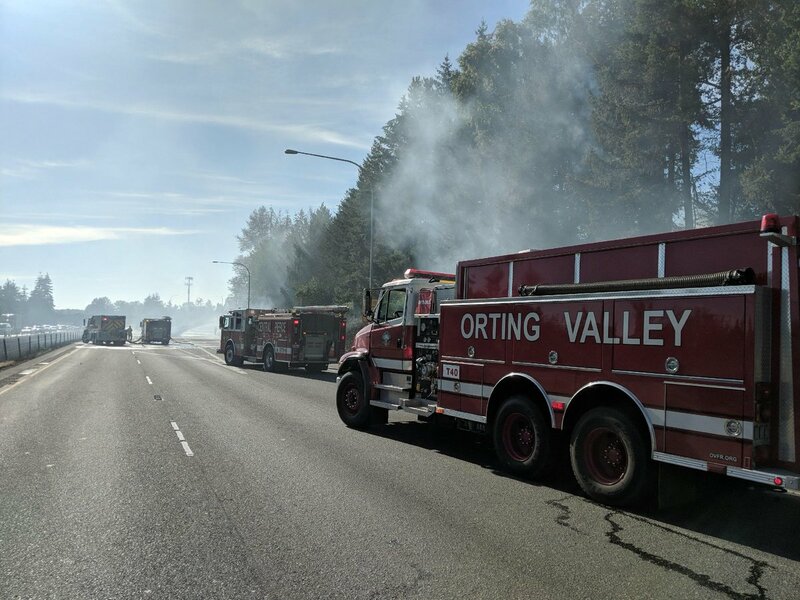 A very large brush fire is burning in the area of Vickery, where it reportedly started on SR 512 and Portland Avenue in Pierce County, Washington on Friday, July 13,2 018. The fire had spread to about .5 miles and reached a home in the area, where it is now being impacted directly by fire. Washington Patrol has only one lane in the westbound direction of SR 512. All eastbound lanes are open but there are reports of a MVA in the area. No exact cause is known and is under investigation. If you have an approved burn permit from the Washington State Department of Natural Resources (DNR) and/or your property falls under the jurisdiction of DNR, you are advised to call 1-800-323-BURN for more information.